Free from dyes, parabens, phthalates, sulphates, alcohol, fragrance, phenoxyethanol, and soap. Lotion with real cotton oil. Healthy Feeling Skin, Happy Baby. Your baby's skin is up to 30% thinner than yours so it needs ultra gentle and delicate care. That’s why our Cottontouch™ wipes are designed to be soft and gentle enough for frequent use on even the most delicate, newborn skin. 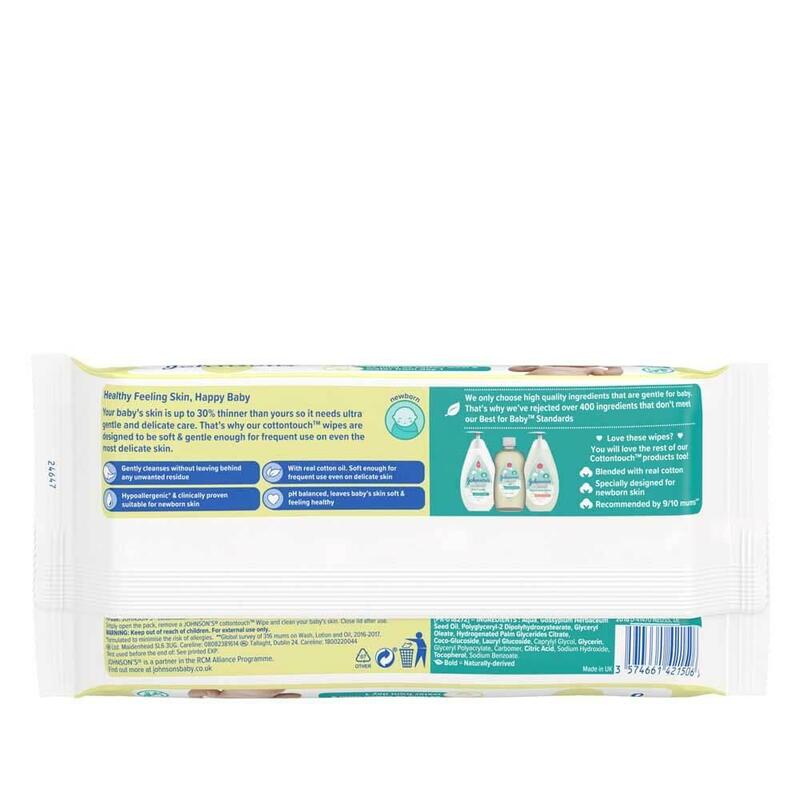 These wipes are as mild as cotton wool and water for delicate skin care from day one. JOHNSON'S® Cottontouch™ Extra Sensitive Wipes can be used all over babies’ skin, including bottoms, hands and delicate faces. Simply open the pack, remove a wipe and clean your baby's skin. Close lid after use. Thank you for submitting this review as your feedback is very important to us. We have sent a message to you by email in order to assist you further. used these on my baby and within minutes of wiping her face she developed a bright red rash! I immediately washed it off with cold water but even an hour later she was still red ! Appalled considering they are supposed to be extra sensitive and safe for babies! Thank you for submitting this review as your feedback is very important to us. We have sent a message to you by email in order to look into your comments further. Used these for two days on my 1 year old daughter. Immediately after using them she came out in a red burn like rash. She cries in pain as it has made her so sore. We have used the previous pink packet wipes for years with no problems. Will never buy these again. 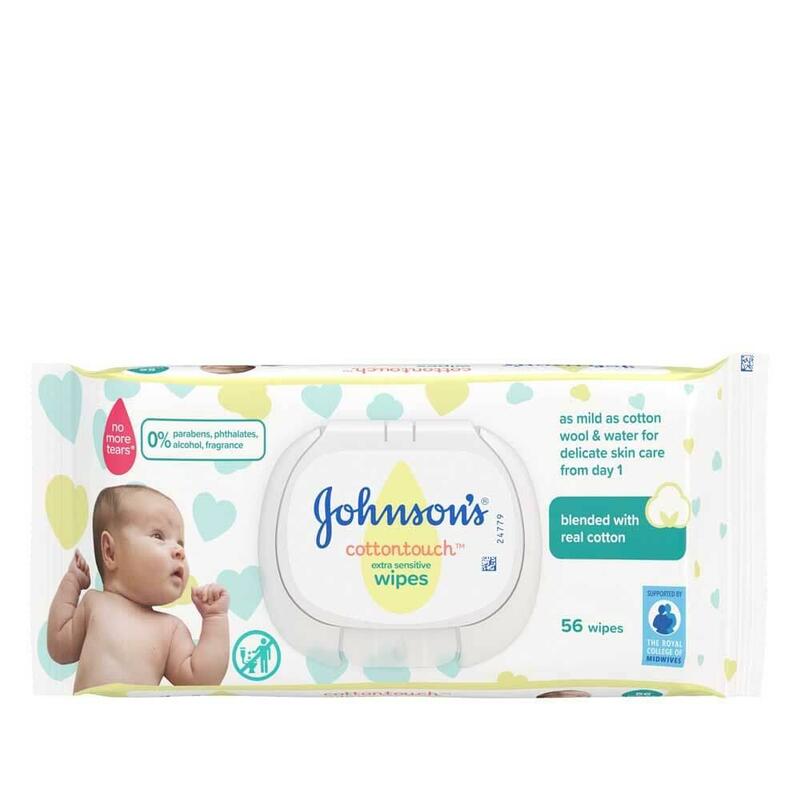 I purchased these as could no longer find the usual Johnson’s extra sensitive baby wipes which I had been using for the past two years with no problems. These new wipes resulted in an allergic reaction and checking the ingredients I expect it’s due to the oil. My son had red blotches appear all over his face after using these, not impressed!